Live projections for an evening of music at Livingston Manor, NY. NFS joins House Guest and Plan 23 to bring experimental electronic music to the Laundry King on Saturday, August 27. Plan 23 delivers sonic explorations into uncharted spaces. 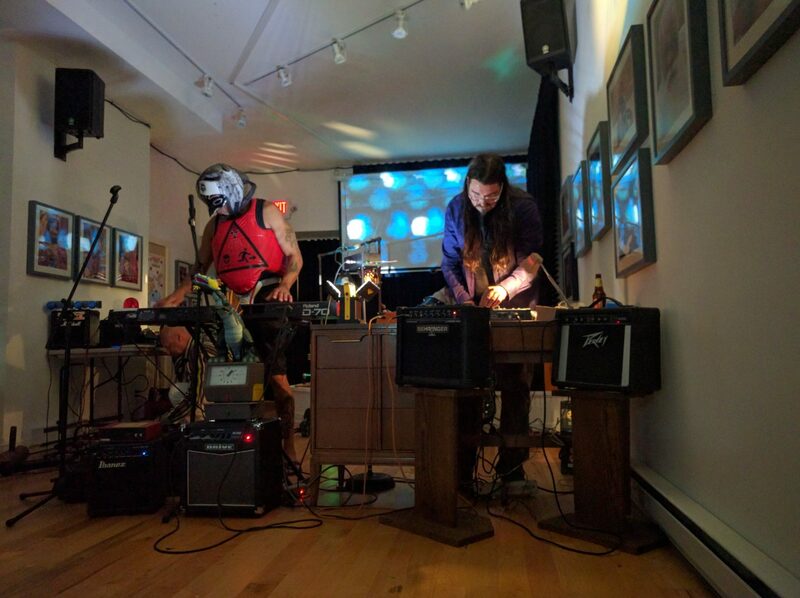 Encompassing a sonic spectrum from dark-ambient to noise, drone to electronic they are redefining psychedelic music for the 21st century. The live shows are extended, sensory captivating, audio-visual experiences that bend one’s perception of time & space. Emerged out of Bushwick, Brooklyn in 2012, Plan 23 is DOK GREGORY [Amoeba Technology, ZGT, Silence Corporation, Psychic TV, Trance Pop Loops, Ransom Corps], PETER PRINCIPLE [Tuxedomoon, ZGT], KARL SCHOLZ [ATTN:, Greything, Rubalad], JEREMY D. SLATER aka “( )” [ROTC, Frogwell, tu, EMP, Sonic Front], and WvS [Ab Uno Pluribus, Data Nerds]. Doors open at 6pm, showtime at 6:30pm. Suggested donation $8.